Real estate agents must consistently look to put potential clients into their sales pipeline. By consistently filling up the pipeline, real estate agents are capable of moving potentials up the ladder. The top of the ladder is when real estate agents make their money. Those top of the ladder potential clients become actual clients. To fill the pipeline, real estate agents must use marketing techniques to discover potential clients. 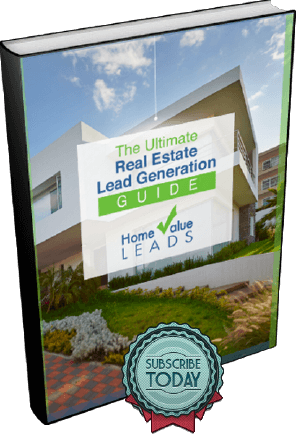 At Home Value Leads, we often write blogs advising real estate agents how they can fill their pipelines. One of the ways that real estate agents can most definitely fill their pipelines is by knocking on doors. Door knocking has become the ugly stepchild in real estate agent marketing. We’ve discussed in length why. Many real estate agents believe social media marketing is all they must do. Successful real estate agents know that’s just not true. To be as successful of a real estate agent as you can, you must look at all forms of marketing. Our latest blog is a primer on door knocking. Make sure to check it out. Then, after you’ve checked it out, think about one of the six door knocking scripts we’ve written here. The door knocking scripts here are just examples for you to consider. Don’t take these as the end all and be all of door knocking scripts. We want to give you a good idea of how to set up your door knocking scrips. In our next blog, we’ll dig deeper into four door knocking strategies that should lead to door knocking success. Why should I introduce myself? It might seem like introducing yourself right away doesn’t make sense. After all, you could just go into a pitch. But, let’s consider the situation. You are knocking on someone’s door in the middle of the day to ask them if they’ve ever thought of selling their home. You have no real basis for knocking on their door other than the fact that you’ve studied their neighborhood and know that you could sell their home for a lot of money. You want to establish first, before even establishing that you’re an expert, that you’re no threat to them. Never discount the power of an introduction. It says you’re confident and you’re not afraid. It will also put the person who answers the door at ease. What should I say if the response is bad? Apologizing for disturbing them if they give you a bad response works. If you do apologize, don’t be too contrite. You’re trying to help them. Make sure to let them know about how much they could sell their home for. The thought of making money often calms the most difficult person. What’s the four most important things to consider with cold opening scripts? The four things to consider written below are self-explanatory. All successful communication starts with sincerity. That’s why it’s first on the list. How aggressive should I get? Aggressiveness depends on the targeted home. If you know the homeowners, even just through someone else, maybe the agent who works in your firm that sold the home down the street, being somewhat aggressive shouldn’t hurt your chances at signing them on as a client. If you don’t know the people at all, tone down the aggressiveness. Even though you or someone you’ve worked with has sold their neighbor’s home, that doesn’t mean they have any idea who that neighbor is or whether they can trust you. What are some follow-up things to say if the decision maker doesn’t answer the door? Always ask for the decision maker. If someone answers the door who isn’t the decision maker, all isn’t lost. Kindly ask the person if they’d forward your information to the decision maker. If you’re handing out goodies, make sure to leave two sets, one for the person who answers the door and the decision maker. Any person who answers the door that’s not the decision maker can become a real asset to you. You want to create champions. Keep that in mind. Just like the actual door knocking scripts, the answers to the questions we lay out is just advice. Real estate agents should try and develop their own style of door knocking, their own strategies. Also, make sure to experiment with different door knocking scripts. You never know what will work and don’t forget that half the battle is your comfortability. Use scripts that you’re comfortable using. That’s the best way to ensure door knocking effectiveness.